I’ve been looking at different paleo pizza recipes for a while now and wanted to try one. I like pizza but the crust is bad so looking for alternatives has been a challenge. The other night I cooked one I found on Paleodietlifestyle.com and although it was quite tasty, the coconut in the pastry was a bit too sweet, so next time I’ll omit it. Try it, see what you think. I’m sure it could be adjusted accordingly. I’ve actually eaten the leftovers for lunch 2 days in a row. I think it’s pretty yummy. Bake for 15-20 minutes on a very well greased tray with a ridge, because of the consistency it will run off. It’s thin like pancake batter. I used sundried tomato tapinade mixed with tomato paste and and some crushed garlic as the base sauce. The toppings as always are endless. Here’s how they came out. 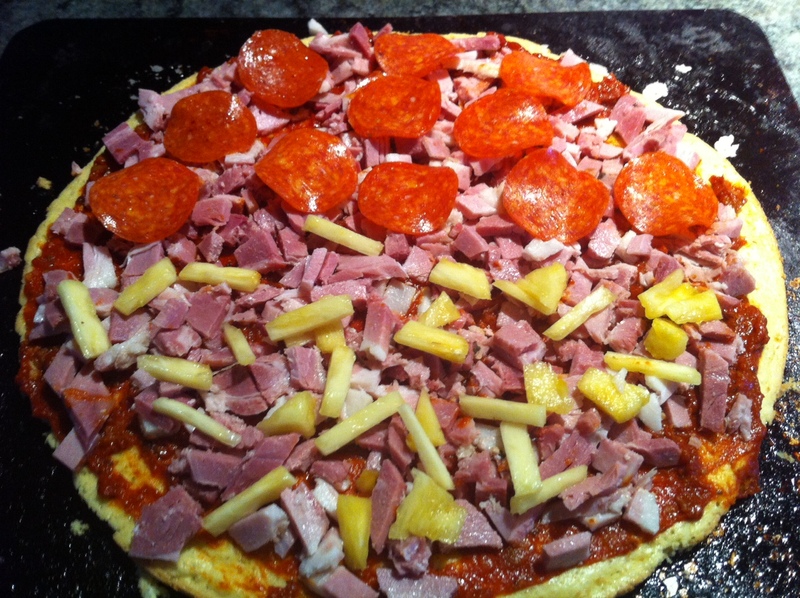 The kid friendly one had Ham Pineapple and Pepperoni. Half and half is fun. Here’s what I did for the grown ups. 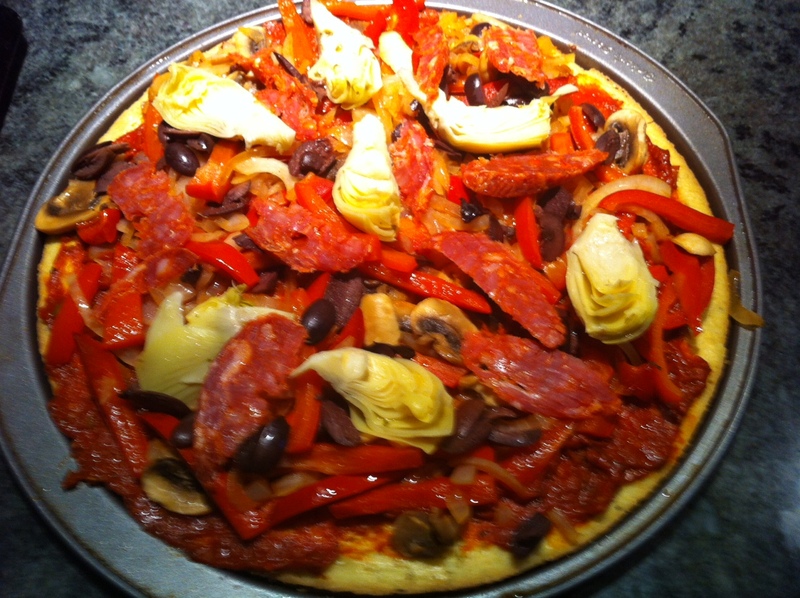 Olives, Artichoke hearts, peppers, onions, mushrooms and spicy salami. I pre cooked the onions, peppers and mushrooms in a skillet. I drizzled olive oil on them before returning to oven for 20 minutes.